Poste's egg n' grog and gingerbread man. To toast the holiday season, Poste Brasserie is serving a few wintry drinks throughout the month, including a version of glögg, the Nordic mulled wine, and a tasty take on eggnog, dubbed the Egg n' Grog. Just don't confuse your glögg for your grog. Weland adapted this recipe from his mother-in-law’s time living in Scandinavia. Crush the cinnamon and cardamom using a mortar and pestle (or a heavy pot and towel) and place them in a small glass jar with ginger, orange zest, cloves and vodka. Let stand 24 hours. Strain into a large saucepan and discard spices. Add the red wine, port, vanilla, almonds and raisins and heat over medium heat until bubbles form around the edges. (Do not boil.) Serve in mugs, with a few raisins in each. 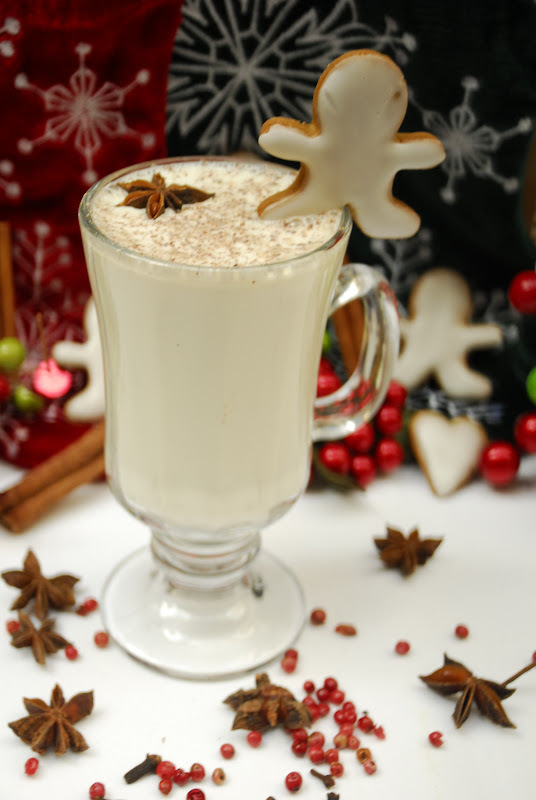 This is a much lighter take on traditional eggnog, but it doesn't skimp on the spirits. Bring water to a boil. Freshly grate outer portion of cinnamon stick into the water and add the whole stick. Add cloves, nutmeg. Crack or grind allspice and add. Boil for about 15 minutes until well flavored. Add sugar and stir until clear, then remove from heat. Strain through a fine mesh strainer or cheesecloth. Add vanilla and let cool. Combine all ingredients in a mixing glass or shaker and add ice. Shake hard for about 30 seconds to get the egg to emulsify. Strain into a sundae glass or other decorative barware. * If you can't find all the suggested spirits, use 1 1/2 ounces dark rum and 1/2 ounce of brandy or cognac instead. Add a bit more of the spiced simple syrup to the cocktail.